Life lengthening action by protecting telomeres, the end caps of the chromosomes. 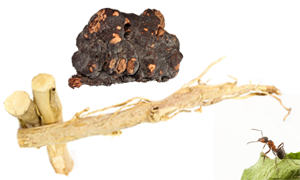 Double-direction adaptogenic herb that modulates the immune and nervous systems. Cultivated in logs cut from the forest on remote, high mountain plantations. No fertilizers or chemicals used; just mountain spring water and rain. Replenishes both pre-natal and post-natal Jing. Jing: inner power, sexual power, athletic power and creative power. Power of your breath and your heart. 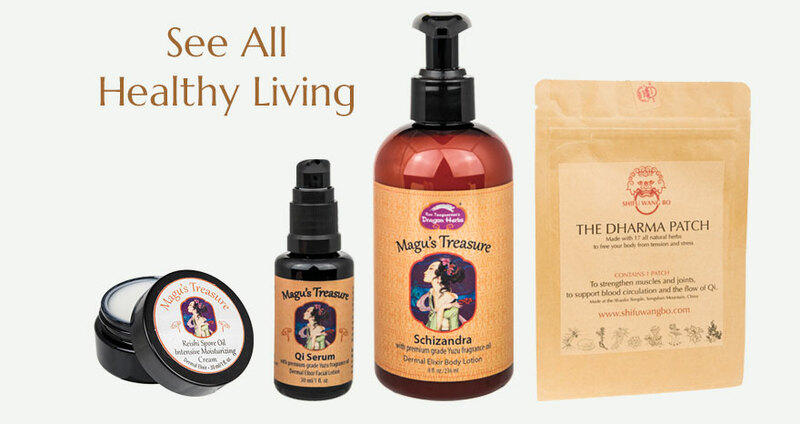 Protects our cells and youthfulness, our eyes and skin, and prevent bad things from happening throughout the body. 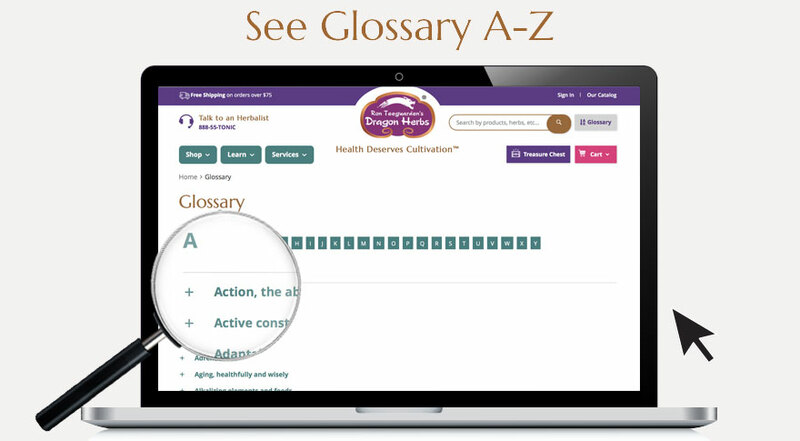 Supports lung health and healthy breathing for healthy Qi: your consciousness and life-force. Our high-altitude Himalayan Shilajit are tested multiple times for authenticity and purity. Most powerful antioxidant which detoxifies the body more effectively than any other substance, according to Ayurvedic, Himalayan and Russian herbalism. 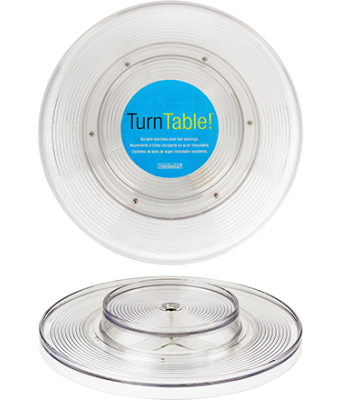 Supports body’s ability to cope and adapt successfully with stress, thus promoting well-being. Powerful energy Qi tonic. 50:50 combined potent extract of Changbai Mountain Ant and raw ground Ant. Powerfully protects the body against general aging and degeneration due to chronic non-specific low-grade inflammation. Tonifies all three Treasures. Our life is like a candle: our physical body is like the wax and wick – this is equated to Jing. Our vitality is equated to the flame – this is equated to Qi. Our consciousness, mind and spirit are like the light being given off by the candle – this is equated to Shen. Anti-stress formulation that helps maintain a strong, adaptive, centering stress response. Promotes peaceful relaxation, mental alertness, and focus. Men’s sexual tonic and immune modulator. A tonic formulation for healthy individuals who wish to maintain a healthy heart. 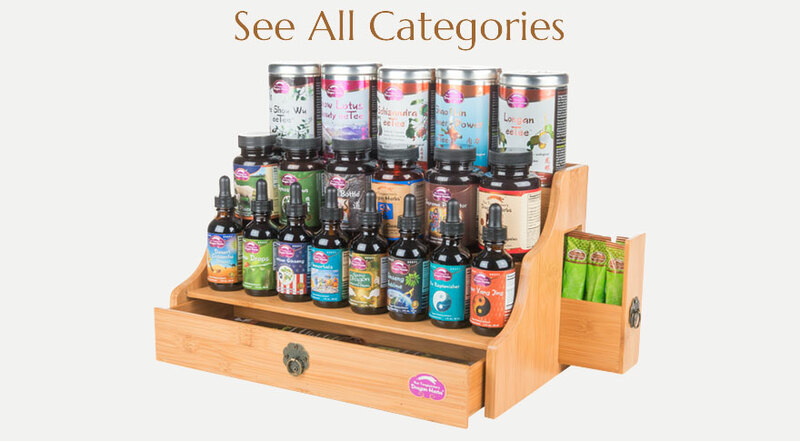 Of the many dozens of encapsulated herbal extracts and formulation that we make, I will admit I do have my own personal favorites, formulas that I take consistently in a steady rhythm to support my personal quest for well-being, happiness, wisdom, healthy aging and longevity (and perhaps ultimately some form of enlightenment). 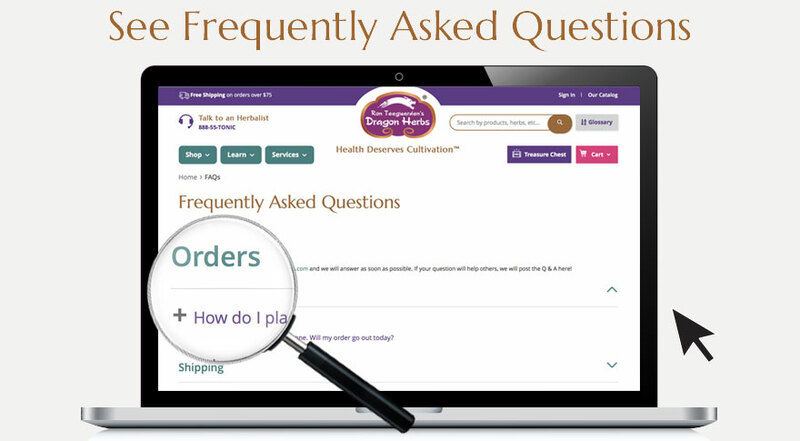 As my personal favorites, they are not necessarily the best we at Dragon Herbs have to offer. 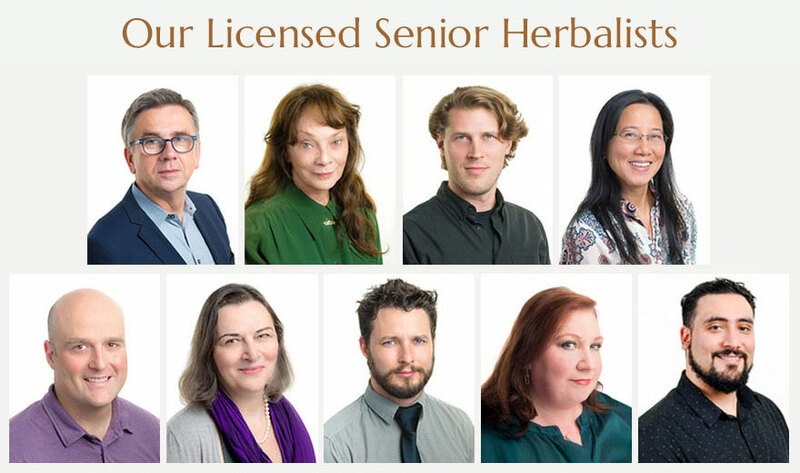 Each of my senior herbalists has their own personal set of favorites, as would each of our thousands of Dragon Herbs power users. Here is MY list, annotated with my own personal reasons for including them in my daily regimen. I must be clear that I do of course take other encapsulated Dragon Herbs extract powders. 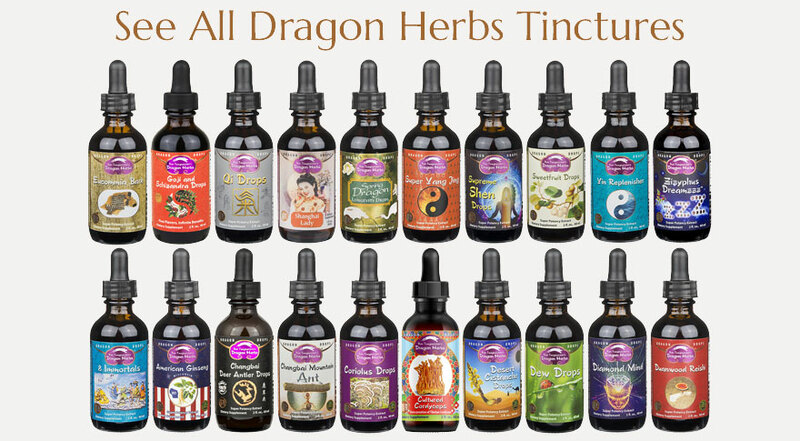 I also take Dragon Herbs tinctures, eeTees, teas and superfoods. I have selected “a baker’s dozen” encapsulated products because that is about how many capsule bottles fit on one of my lazy-susan-spinners on my home elixir bar shelf. I will list them alphabetically because all are of equal importance to me. 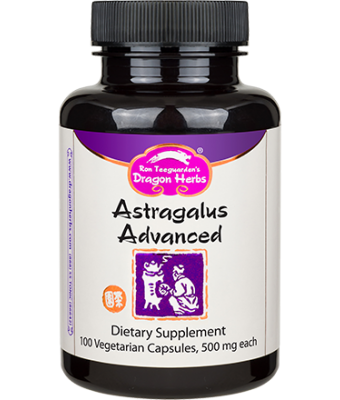 Astragalus Advanced – Contains Astragaloside IV, one of the premier immune modulators as it protects telomeres. 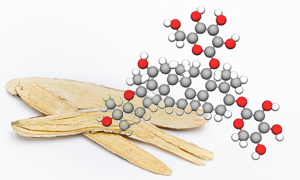 Astragaloside IV has been recognized as one of the premier immune modulators in all of herbalism and also is being studied because of its role in protecting (and maybe restoring) telomeres, the end-caps of our chromosomes. Protecting telomeres is believed to be a life-lengthening action. Duanwood Reishi – A profound immune modulator with over 900 active constituents. 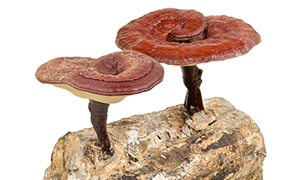 As a “high order fungus,” it is not the kind of fungus that people are allergic to. 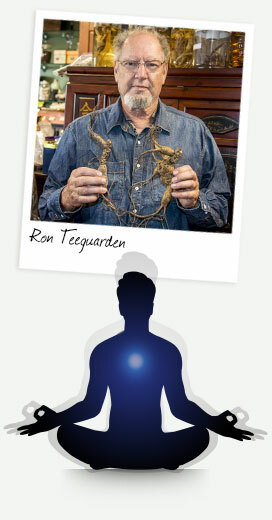 It is a double-direction adaptogenic herb that modulates the immune and nervous systems, keeping these functional networks strong and balanced. Eternal Jing – Restores my primal power and keeps me feeling young, clear and strong. Jing: inner power, sexual power, athletic power and creative power. Power of your breath and your heart. 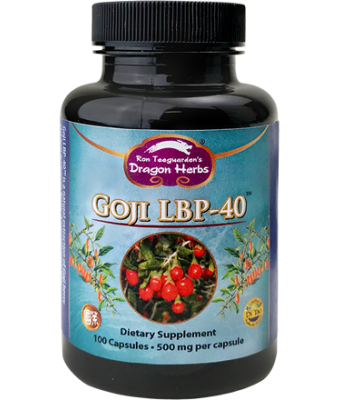 Goji LBP-40 – Brightens and strengthens my life force every day. 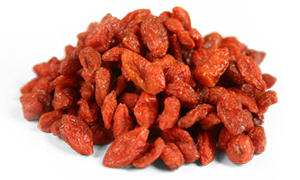 Goji has several very important active constituents, and the LBPs (Lycium Barbarum Polysaccharides) are considered the most important for our immune system functioning, liver health, healthy sugar metabolism (insulin/IGF-1), healthy inflammatory response, healthy aging and longevity. Golden Air – Nurture my lung health. 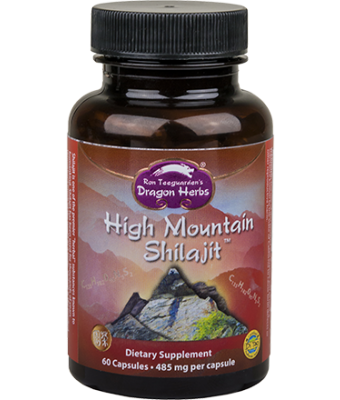 High Mountain Shilajit – Activates and enhances all other tonic herbs. Super Adaptogen – Contains virtually every major tonic herb, brewed together into an alchemical blend. 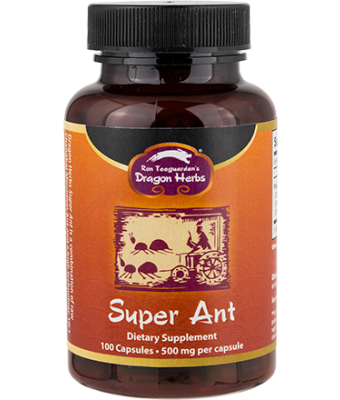 Super Ant – Ant is a powerful energy tonic that I can really feel on both short and medium-term basis. Super Pill No. 1 – I personally consider the Super Pills™ to be the most advanced dietary supplements that can be produced. Super Pills™ are special formulations. They combine cutting edge superior herbalism with advanced nutraceuticals derived primarily from these same supertonics or related plants. Super Pill No. 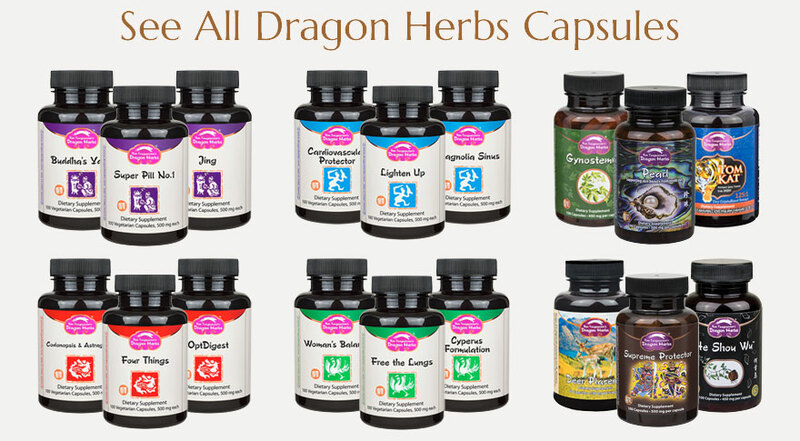 2 – One of Dragon Herbs’ most popular tonic capsules. 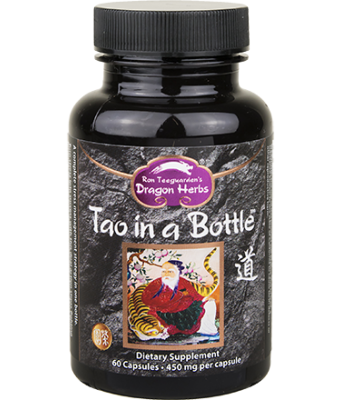 Tao in a Bottle – Promotes peaceful relaxation and supports mental alertness and focus. 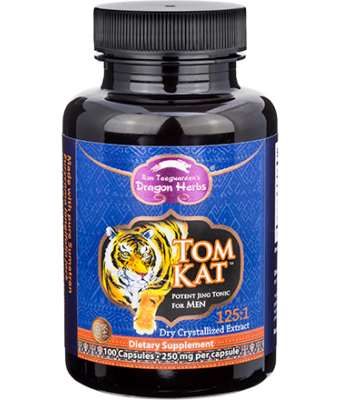 TomKat – This formulation has contributed to my life on so many levels. Young at Heart – Protect the cardiovascular system. 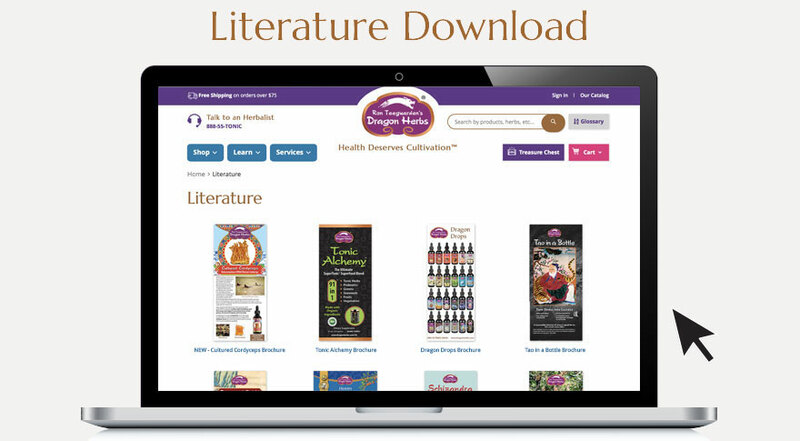 Dragon Herbs produces several hundred herbal products. Many of these are powders offered in capsules for easy consumption. The vast majority of our encapsulated products are extract powders. 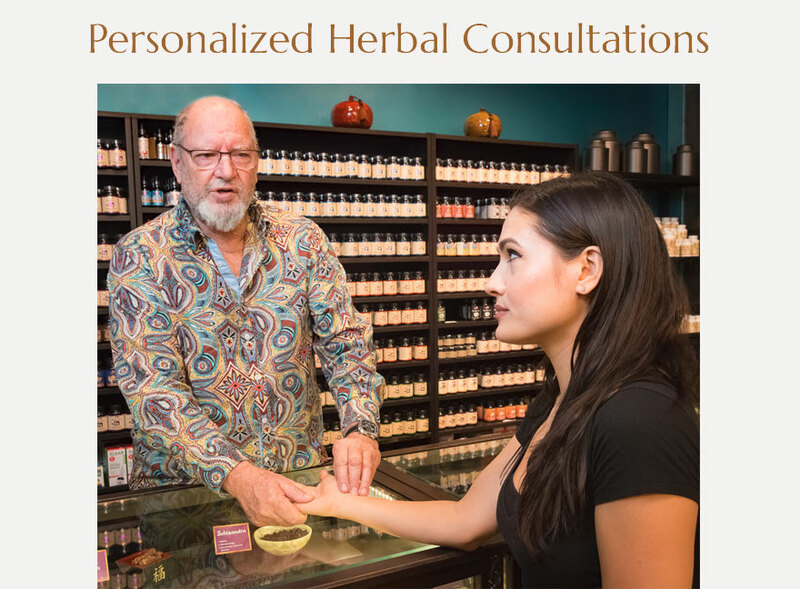 We use world class technology to extract the essence essential constituents from the herbs, to. We flash-dry these extracts into highly assimilable powders, and to deliver them fresh to you. We do relatively small runs so that our products are always fresh and potent. 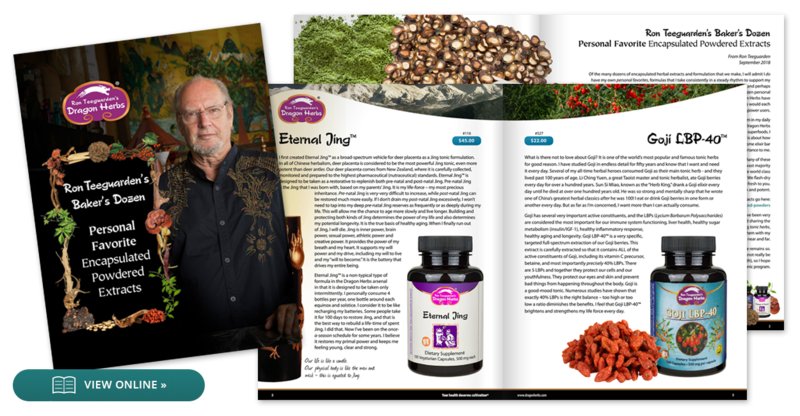 There is a Chinese saying, “blessed is the one who has found their work.” I have been very blessed to have found “my work” in this life – identifying, sourcing, producing and sharing the highest quality herbal products I can imagine, with a big emphasis on the life-affirming tonic herbs, tonic nutraceuticals and superfoods from around the world. It is my great joy to share them with my friends near and far. 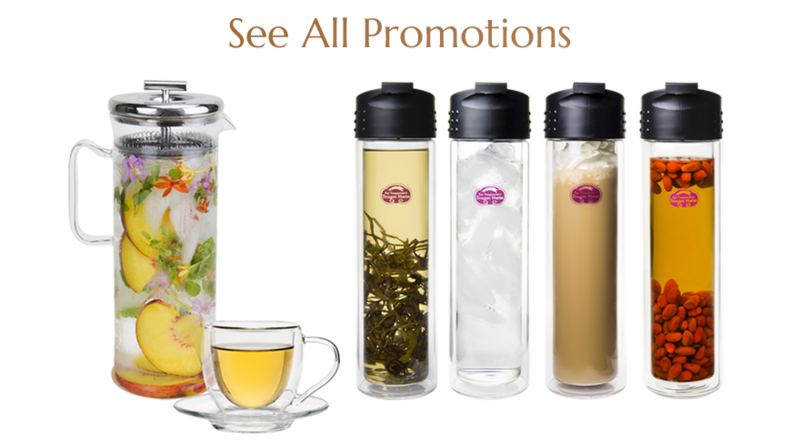 I love ALL of the products we offer. Each one was created as a labor-of-love, and each one remains so. We never stop seeking to excel and improve (we have quite a few products that cannot really be “improved” beyond what they are). But I cannot take them all (at least not in one month), so I hope that my selective list gives you some guidance in creating your own life-affirming personal tonic program.